AUSTIN – Abilene Christian University picked up its fourth victory of the 2009 Texas Relays Saturday afternoon in Austin when Latvian junior Linda Brivule produced the best javelin throw ever by a female athlete in the history of NCAA Division II. 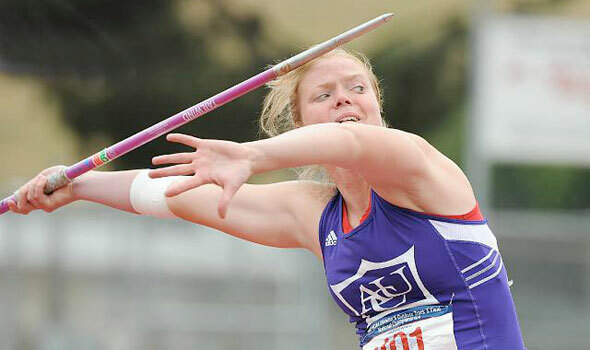 Brivule, last year’s Lone Star Conference and NCAA Division II champion for the Wildcats, threw 184-6 to win the women’s university-college javelin throw section A at Myers Stadium. She’s the third ranked collegiate performer in the U.S. this season and ranks No. 21 on the latest IAAF world list for the 2009 season. Her mark erased the ACU record of 177-6 by Geraldine George here in 2000, which was also the previous longest in NCAA Division II history. Brivule led from the first round with her 174-8, then turned in her best mark of the day in the fourth round. In 2009 she ranks behind only Kara Patterson of Purdue (191-7) and Rachel Yurkovich of Oregon (190-11), who was the 2008 NCAA Division I national champion. Brivule was also the 2002 IAAF world junior champion before enrolling at Abilene Christian. After opening with 174-8, she threw 161-5, 173-6, her best of 184-6 and 164-1 before closing with 171-4. Katie Coronado of University of New Mexico was second with 181-0, which also came in the fourth round. Also for the Wildcat men’s team here Saturday on the final day of the 82nd annual Texas Relays, Desmond Jackson was runner-up in the college 100 in 10.50 (3.4), and Andrew McDowell was third in the college 110 hurdles in 14.16 (2.0). The 4×400 relay team was third in the college race in 3:11.40 after a strong opening lap by Jordan Johnson (46.6). He was followed by Desmond Jackson (47.9), Ramon Sparks (49.0) and anchor Harold Jackson (47.9). Harold Jackson was fourth in the college 400 hurdles in 54.71. Earlier here this week, the Wildcats captured Texas Relays victories from Camille Vandendriessche in the decathlon (7,531), Nick Jones in the university-college shot put section B (55-11.75) and Stephen Toler in the university-college pole vault section B (16-6.75).